Baisakhi the harvest festival celebrated widely across Punjab and Haryana is also an important religious festival for the Sikhs. And as no Indian festival is complete without delicious food, this is also no exception. The festival is celebrated to mark the harvest of Rabi crops, thus the food made during the festivity includes items from the fresh produce. It is also a Thanksgiving festival where farmers thank nature and God for a bountiful harvest. And when it comes to Punjabi cuisine, the traditional items are always a favourite. From Makki ki Roti to Sarsoon ka Saag and of course with Mithi Lassi and Kheer, it’s hard to resist! So, to make your Baisakhi celebrations delicious, here are three quintessential dishes provided by Ravindra Rawat, Head Chef, The Chatter House, New Delhi. * Make a small potli by tying the cardamom, cinnamon and tea powder in a 2″ x 2″ piece of muslin cloth. * Put the White chickpea, Split Bengal Gram, baking soda, salt and 2½ cups of water in a pressure cooker, and insert the potli and cook for 3 whistles. * Allow the steam to escape before opening the lid. Discard the potli and keep aside. * Heat the oil in a deep non-stick pan, add the ginger and green chillies and sauté on a medium flame for 30 seconds. * Add the onions and garlic paste and sauté on a medium flame for 5 minutes. * Add the tomato pulp, mix well and cook on a medium flame for 3 minutes, while stirring occasionally. 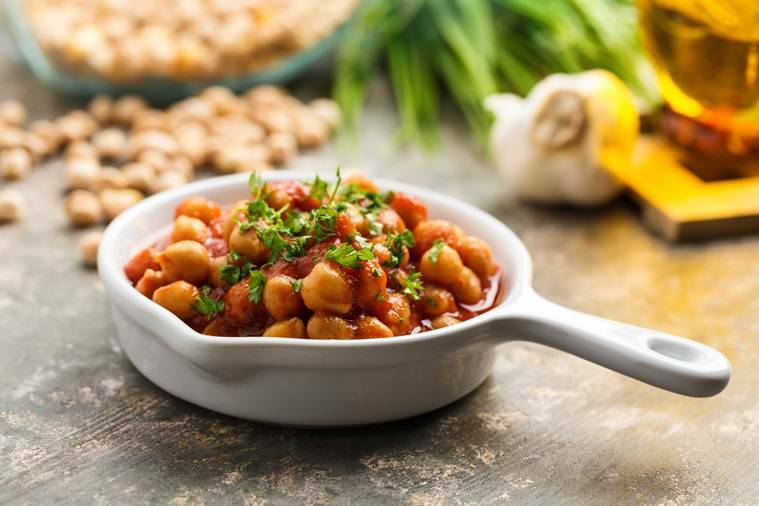 * Add the boiled chickpea along with the water and salt, mix well and cook on medium flame for 15 minutes or till the water dried out, while stirring occasionally. * Add the coriander and mix well.